Iodine is an essential nutrient to the thyroid gland and the entire glandular system. The thyroid is responsible for production of hormones which regulate the metabolic rate of cells. Therefore, it influences physical and mental growth, nervous and muscle tissue function, cardiovascular health as well as healthy weight maintenance. This is the same product that has been sold for 75 years. Now energized by a proprietary process developed by psychics similar to Edgar Cayce. 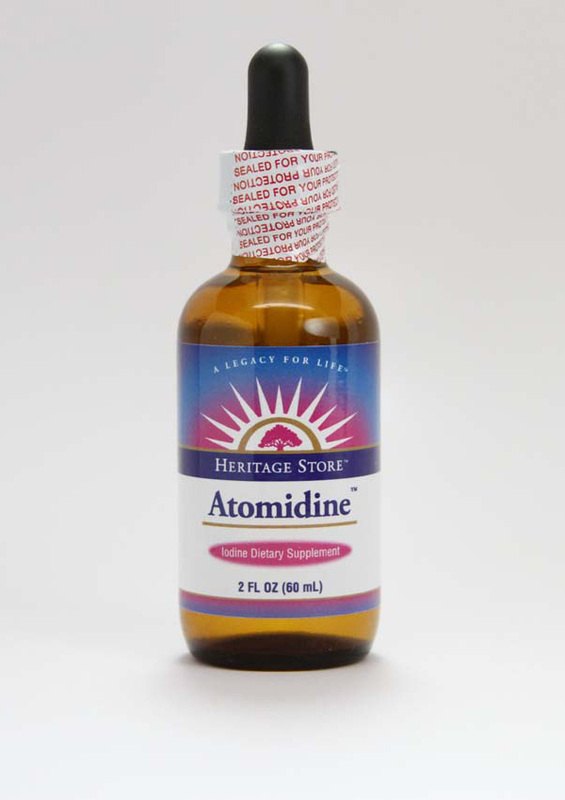 Atomidine is a unique iodine preparation Cayce said would be extremely beneficial for many health purposes. Directions: 1 drop in water in the morning. Ingredients: 600 micrograms of iodine per drop (400% RDI). Warning: Do not use this supplement in conjunction with any other concentrated source of iodine, such as Formula 636/637, Sea-Adine, Calcios, or kelp tablets (not kelp salt). Over-stimulation of the thyroid gland with resulting nervousness may be experienced. People who are hyperactive or have cardiovascular difficulties should not use this because glandular stimulation might over stimulate the heart.